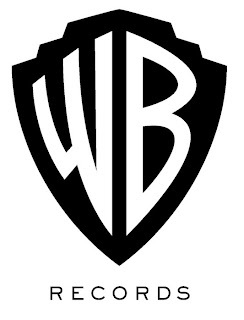 The 50th anniversary of the founding of Warner Bros. Records will be capped with the December 9th release of Revolutions In Sound, a 240-page hard cover book accompanied by a USB flash drive containing 320 recordings reflecting the company's stature one of the most consistently successful labels in history and home to some of the most influential and innovative artists in contemporary music. With exclusive interviews, never-before-seen photographs and insider accounts of how the hits were born, Revolutions in Sound celebrates the first fifty years of a company where music and legends are made. It's the "ultimate" box set, highlighted by the book authored by music historian and educator Warren Zanes. The accompanying USB memory key, shaped like the WB logo, is loaded with iconic music that is the equivalent of a 20 CD set. The collection reflects the diversity of the music released by Warner Bros., Reprise, Sire and affiliated labels from 1958 to the present day. The tracks follow the evolution of Warner Bros. Records, from fledgling record label, started by a movie mogul in the middle of the last century to its status today as one of the preeminent music content companies in the world. Ranging from Jimi Hendrix to My Chemical Romance, the Grateful Dead to Madonna, Fleetwood Mac to Frank Sinatra, Tab Hunter to the Red Hot Chili Peppers, the who's who of the label's roster reflects an unequalled cross section of cultural history and some of today's most important artists. Other notable artists associated with the company's rise and continuing industry leadership are Green Day, Van Halen, Michael Bublé, Regina Spektor, The White Stripes, Cher, Curtis Mayfield, Ramones, REM, Faith Hill, Alanis Morrisette, Randy Newman, Funkadelic, Seal, Big & Rich, Alanis Morrisette, Linkin Park, Josh Groban, Paul Simon, Eric Clapton and hundreds of others, many of whom have come to be known as household names over the course of fifty years and whom have continued Warner Bros. success as the industry's No. 1 label in the U.S. for two of the last three years. "Sometimes life's so much cooler when you just don't know any better and all the painful lessons have not hammered your head open yet."